This is another version of our new favorite Chicken Noodle Casserole. We've made Cracked Out Chicken Noodle Casserole and French Onion Noodle Casserole. 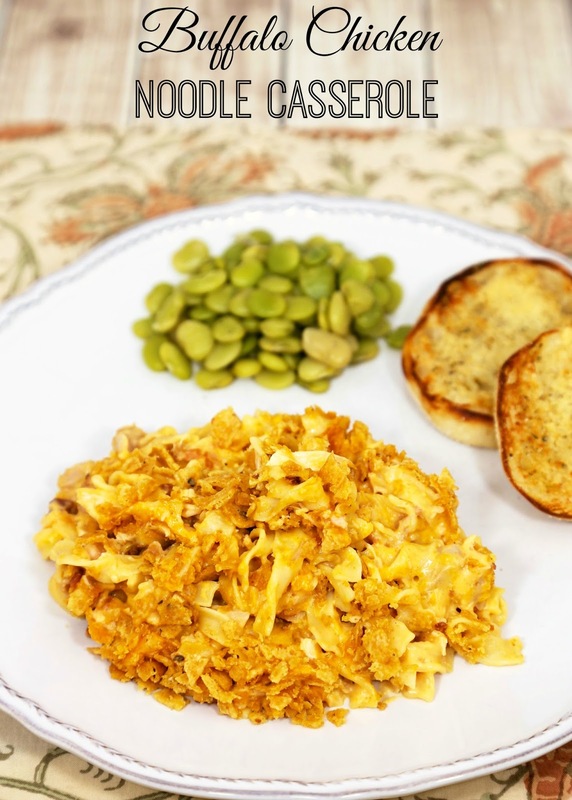 This Buffalo Chicken Noodle Casserole is just as delicious as the others! We couldn't stop eating it!! This would be a great dish to serve at a football party. All the flavor of buffalo wings, but Much easier than eat! This dish does have a hint of heat from the buffalo sauce. I used 2/3 of a cup in this dish and didn't think it was spicy. I just thought it tasted like buffalo wings. If you are concerned about the heat, please reduce it to your liking. Combine chicken, bacon, soup, sour cream, wing sauce, and cheese. Stir in cooked egg noodles. Pour mixture into prepared pan. 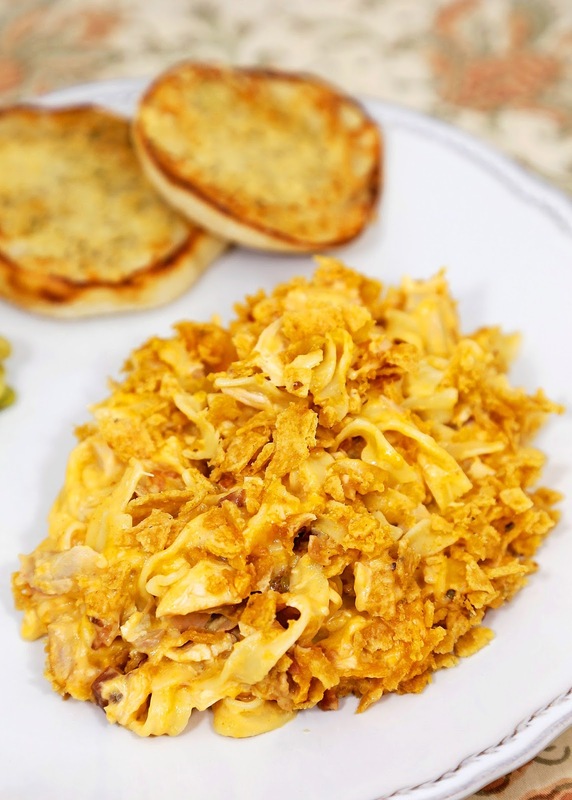 Top with crushed Fritos. Oooh, I can't wait to try this!!! You create the easiest, yet most delicious recipes! Thank you! !